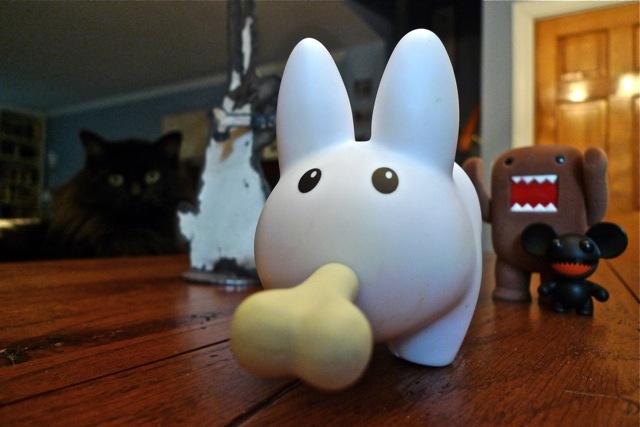 Mostly, labbits are vegetarian. Mostly. But sometimes their saw-toothed friends (like the cat, Domo and Zim Mau5) peer pressure him into things like nomming on this bone. Pipkin, just because some arty labbit does it, and all your friends do it, doesn't mean you have to, too!